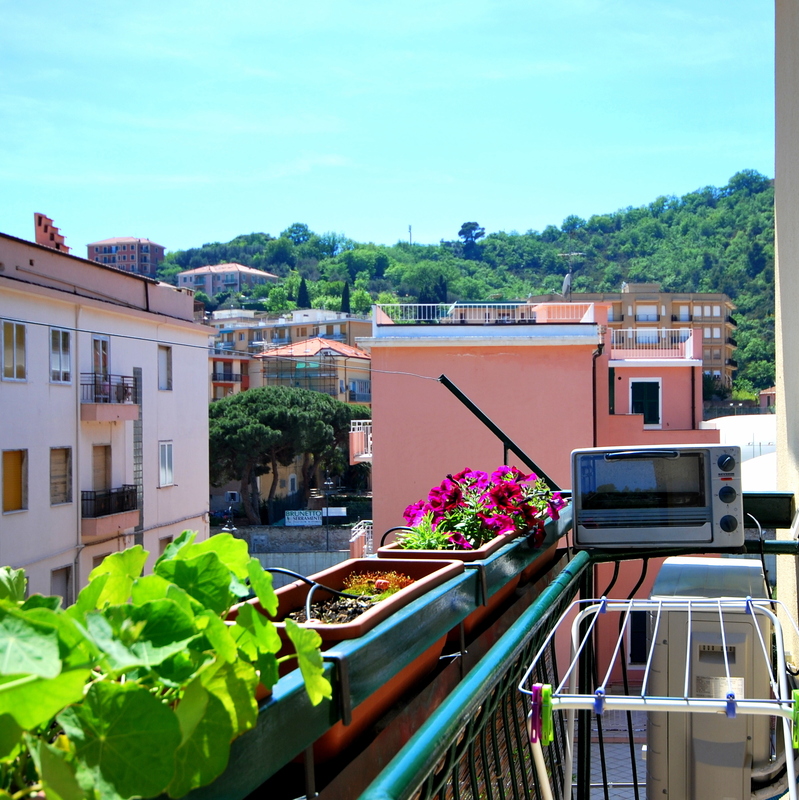 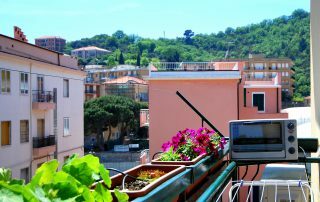 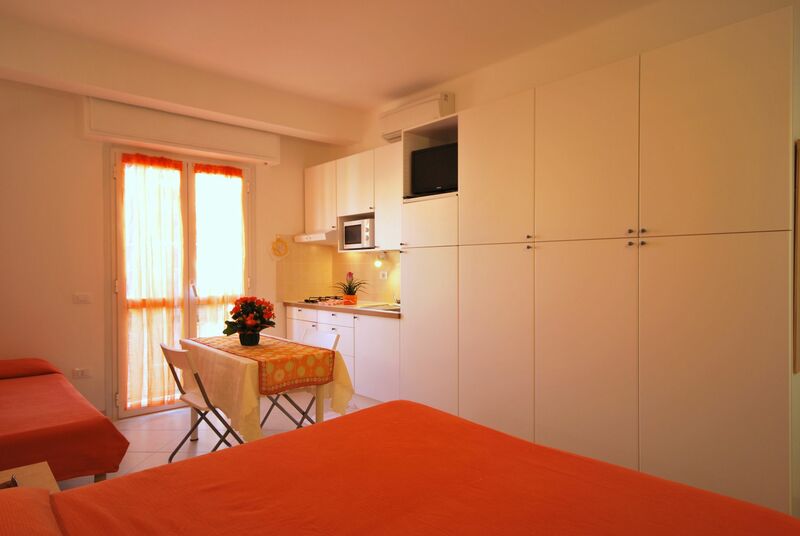 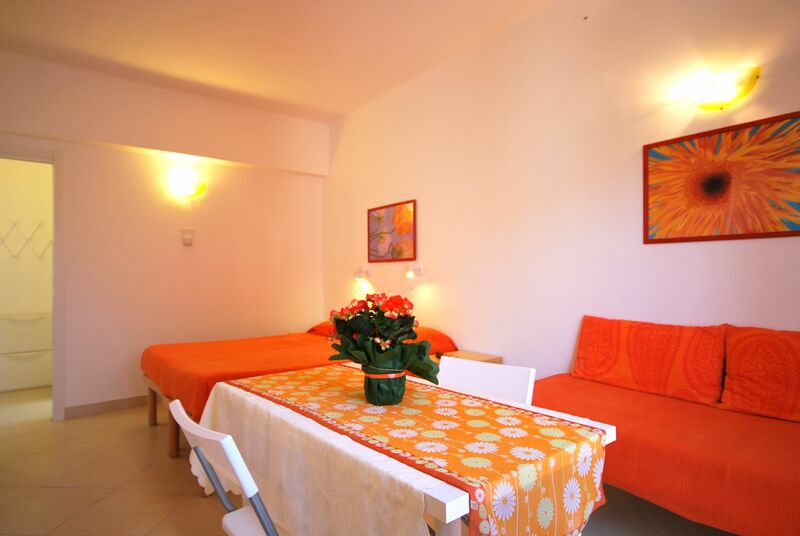 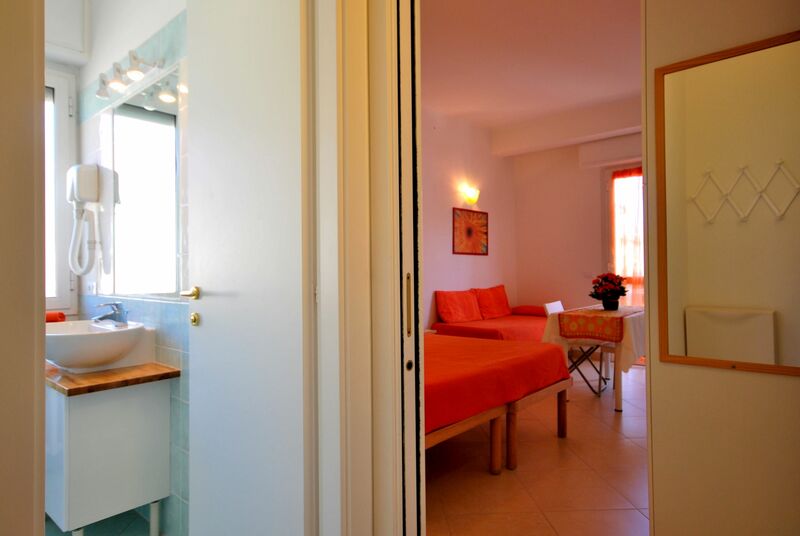 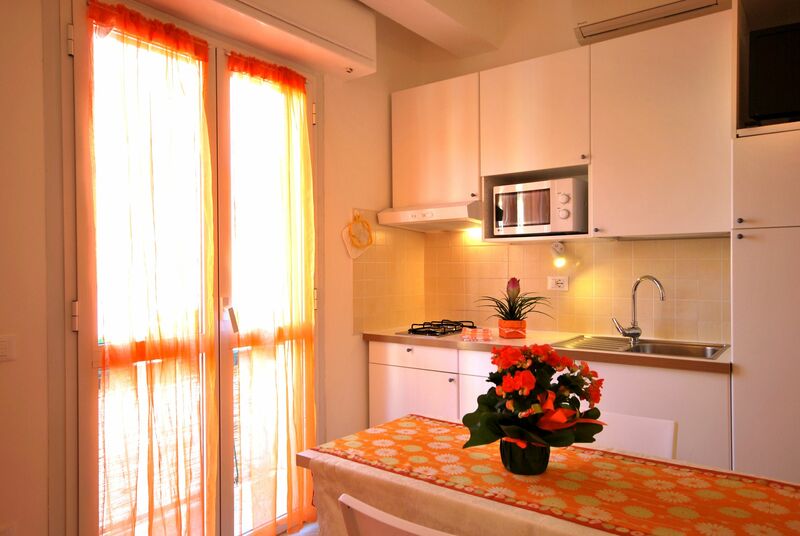 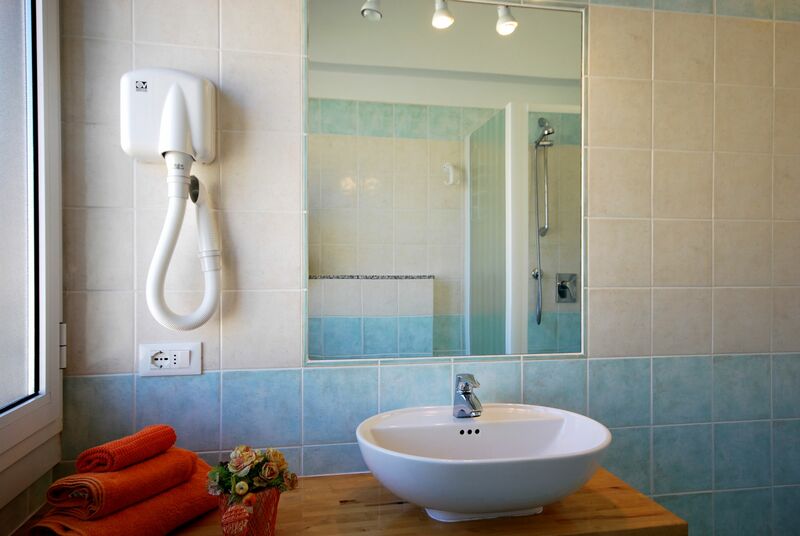 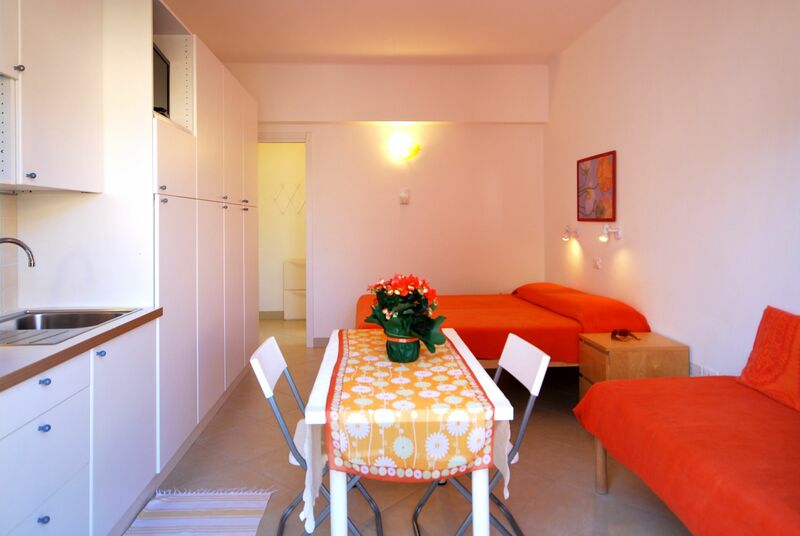 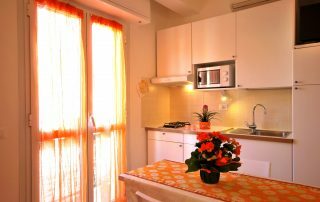 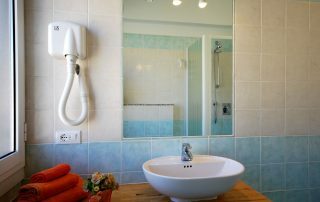 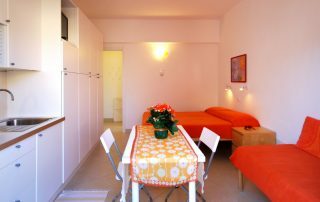 25mq studio with air conditioning, private bathroom with window, equipped kitchen, microwave and small balcony. 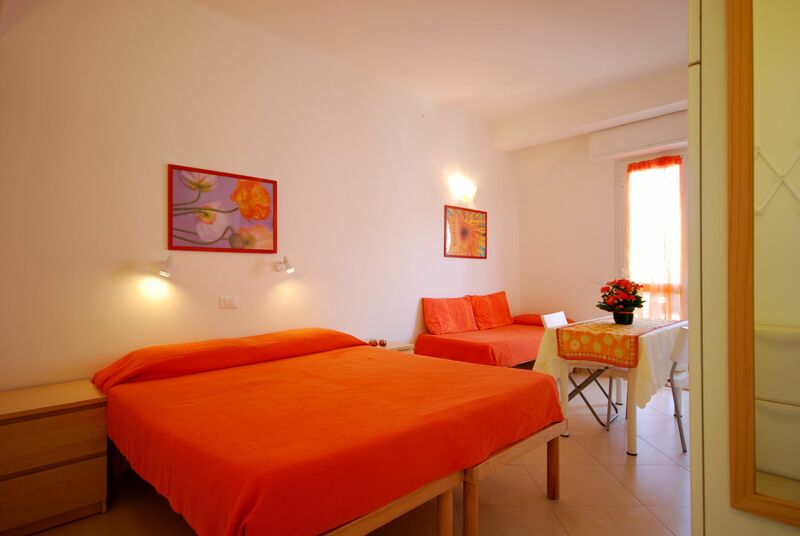 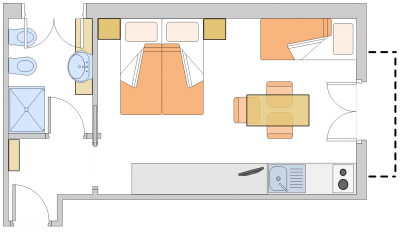 Double bed (or two single beds on request) and extra single bed. 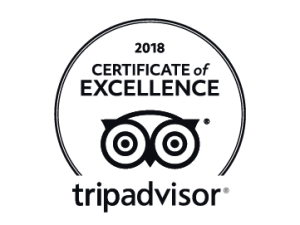 Recommended for two people or for a couple with child.